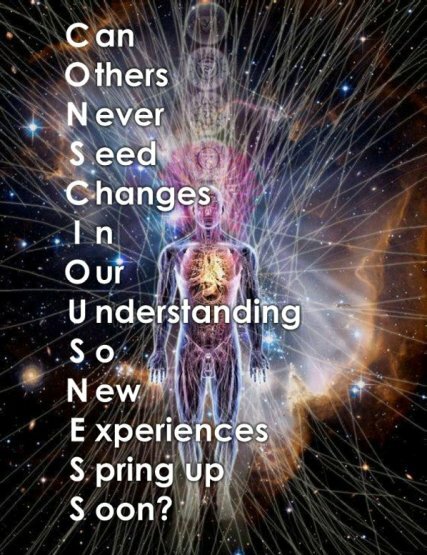 One of the most mysterious aspects of life is Consciousness. Do we have it, and do animals and plants? In our own case we hardly doubt it, for animals the answer might not be so clear, and plants too seem to communicate, so would they have consciousness as well? We are in an age of very rapid technological development, and most humans hardly feel comfortable with the speed at which this is going. As a guy in my fifties in a technological career, I spend a lot of time helping others keep up with computers. Still, the new discoveries make me feel like within a number of years, androids will be so advanced that they too may be considered as having consciousness... and I feel it will happen in my lifetime!